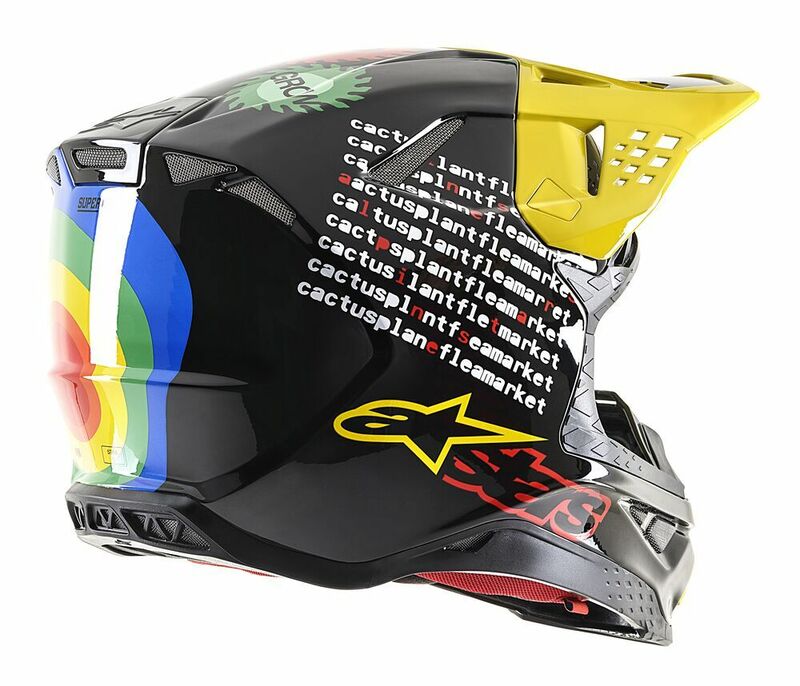 Alpinestars approach to the creation of the advanced technology in the Supertech M8 draws on its depth of experience from over half a decade of world class innovation across the spectrum of motorsports and especially, its deep-rooted commitment to motocross. As with all other categories of technology that Alpinestars has mastered, bringing a new, highly complex, product to fruition requires specialist experience and know-how and a project plan led by the best brains in protection development. S-M8 in four anatomical shell sizes.The Supertech M8 shell construction is optimized to offer best fit across the range of four size options. Shell sizes are manufactured in small, medium, large and extra-large to ensure that riders have the correct fit which not only improves comfort but, most importantly, the effectiveness of the helmet in an impact. 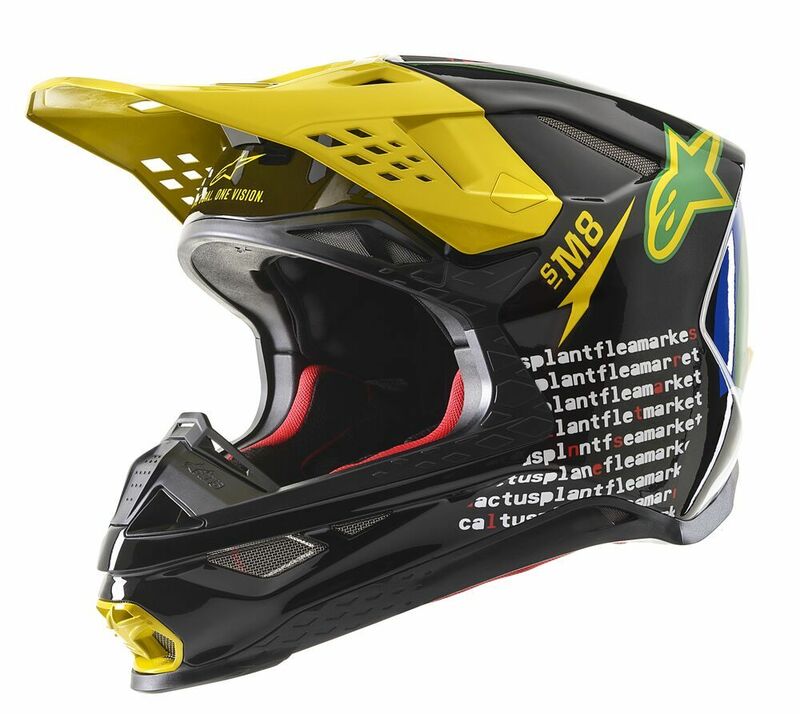 Patented A-Head fitting height and angle adjustment system.The Supertech M8 incorporates a patented system to allow the helmet to be tuned exactly to the riders preference for the height and angle at which the helmet sits on the head. This unique technology allows for an ultra-specific set-up that can be adapted for the type of riding and the rider’s preference. 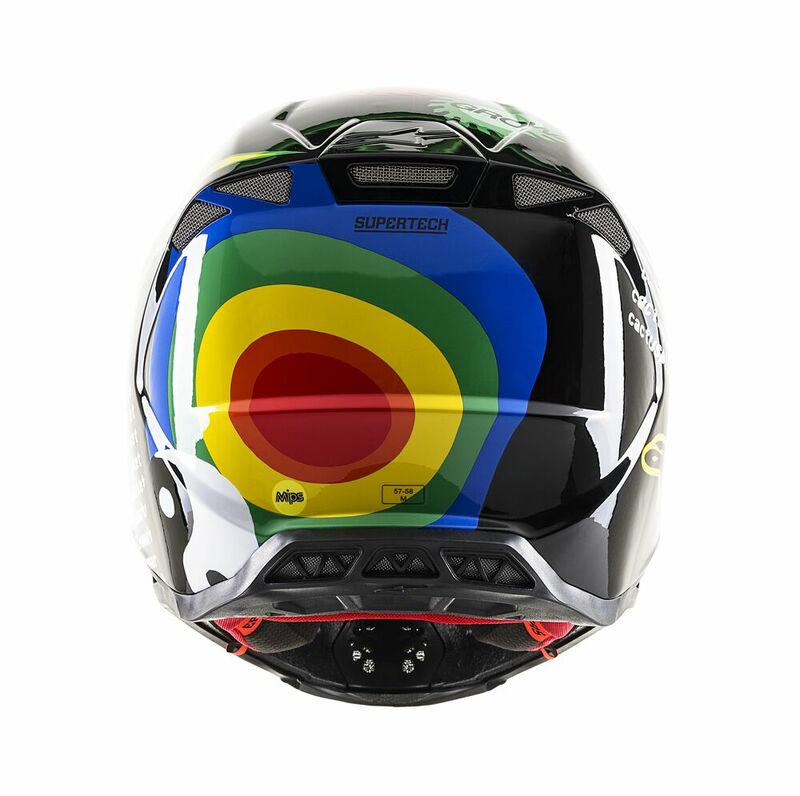 The Multi-Directional Impact Protection System: MIPS is incorporated into the Supertech M8 to reduce rotational motion energies that impact the helmet causing damaging gyration force to be transmitted to the brain. Emergency Release System (ERS). 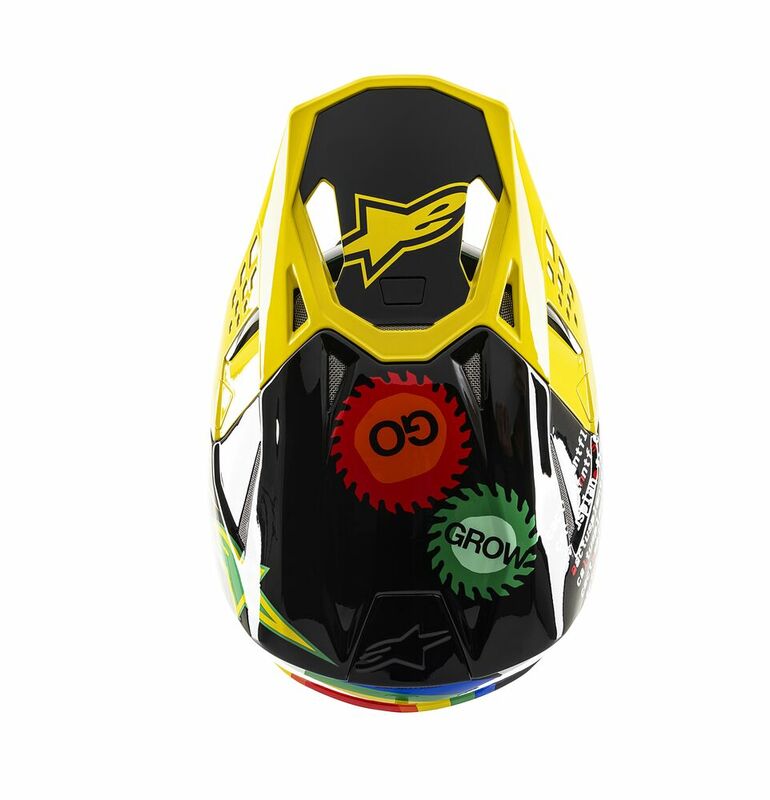 The side cheek padding of the S-M8 can be extracted efficiently and safely, while the helmet is still on the rider’s head, to allow ease of removal by trackside support and medical staff. The Supertech M8 is also designed to allow a helmet ‘Eject’ inflation system to be fitted into the inside crown of the shell. Chin-strap: Wider than certification requirement: 26 mm for comfort and produced with a woven poly yarn to give a soft ‘hand’ feel that connects securely with a double D-ring.